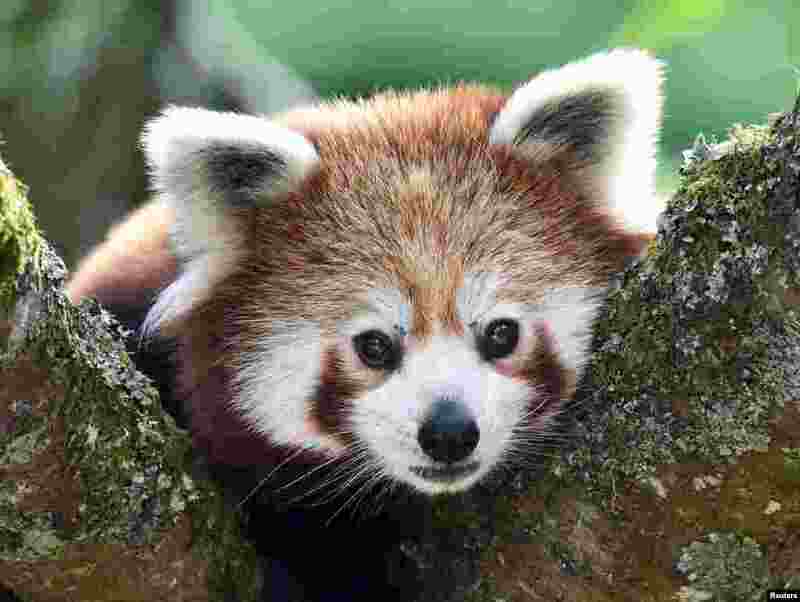 1 A one-year-old red panda sits in the trees at the Manor Wildlife Park, St. Florence, near Tenby in Wales, United Kingdom. 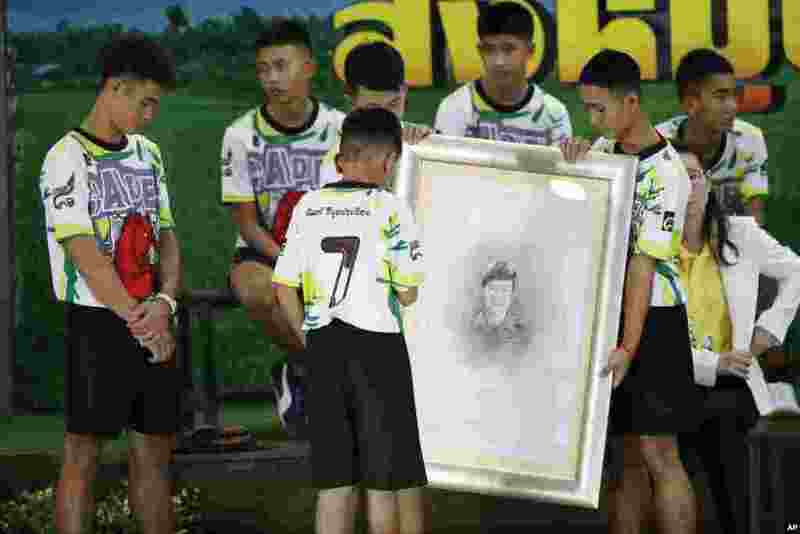 2 Coach Ekkapol Janthawong, left, and the 12 boys on the Thai soccer team that had been trapped in the cave pay their respects and thanks as they hold a portrait of Saman Gunan, the retired Thai SEAL diver who died during their initial rescue attempt, during a press conference in Chiang Rai, northern Thailand. 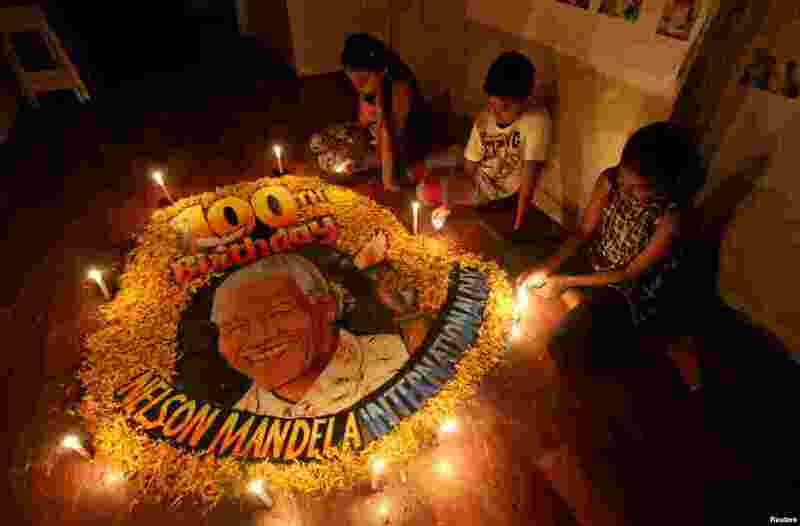 3 Children light candles beside a painting commemorating South African revolutionary Nelson Mandela's 100th birth anniversary at an art school in Mumbai, India. 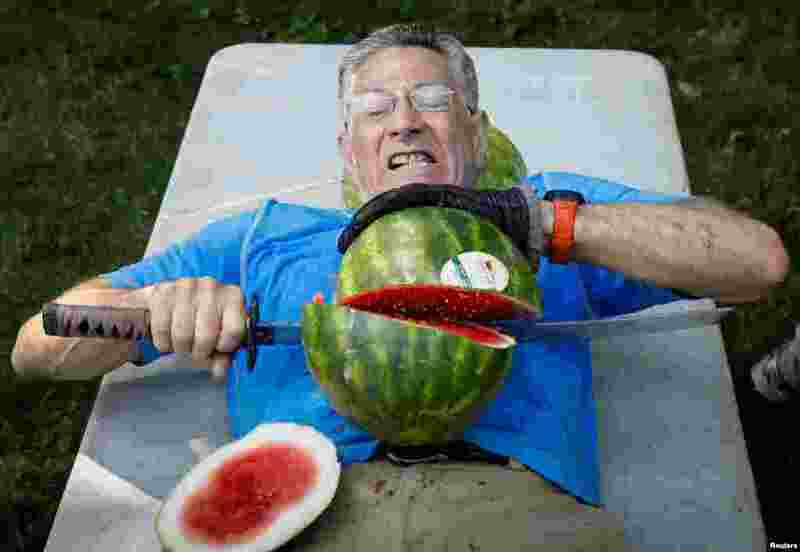 4 Ashrita Furman, who holds more Guinness World Records than anyone, attempts to set a new record for slicing the most watermelons in half on his own stomach in one minute in New York City, July 17, 2018.